Lake Trout Fishing Charters Tawas City Michigan with a member of the Michigan Charter Boat Association. Lake Huron Pink Salmon, Lake Trout, Steelhead, Brown Trout, Walleye, Perch. 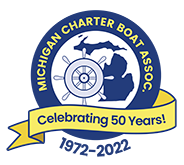 Fishing charter captains directory from the port of Tawas , Michigan located at 44.2665111,-83.5152989 Great Lakes Region, USA.